Have you ever needed to rearrange the pages order in contract or invoice stored in your Salesforce account? Quite often, when we open a scanned document, we find that some of its pages are not where they are supposed to be or upside down. It may be very disappointing. However, it’s not a problem when you use our PDFfiller editor in your Salesforce account. 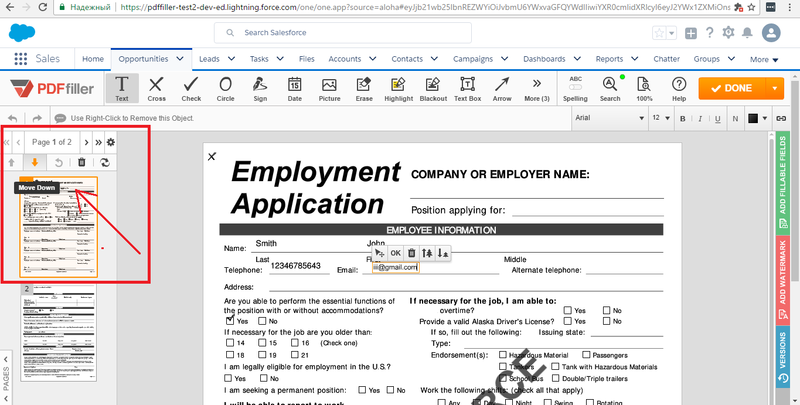 It can easily restore the right order and orientation of pages in any PDF and Word document. 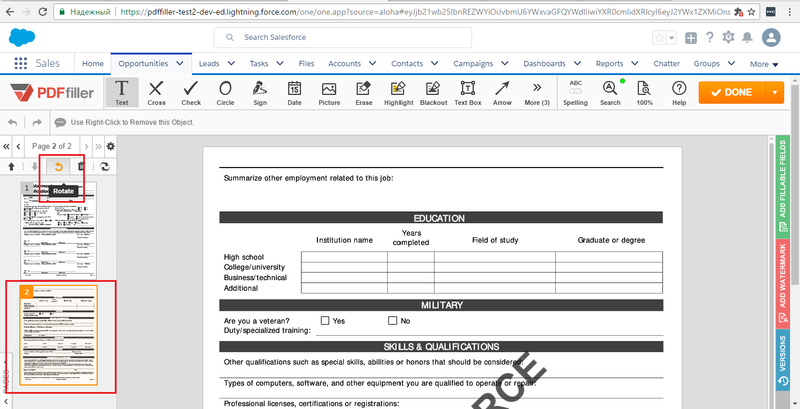 To get started, upload the document to your Salesforce account and open it in the editor.